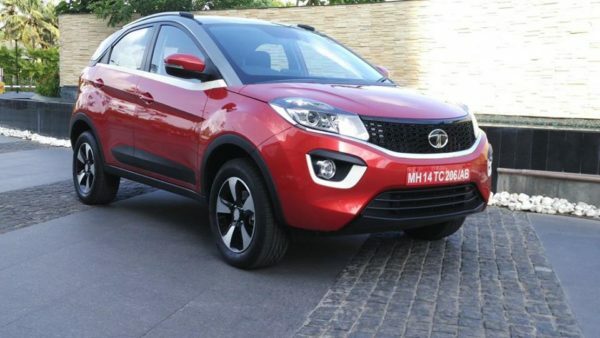 Tata Motors is all set to launch the much awaited Nexon SUV in the Indian market on the 21st of September. 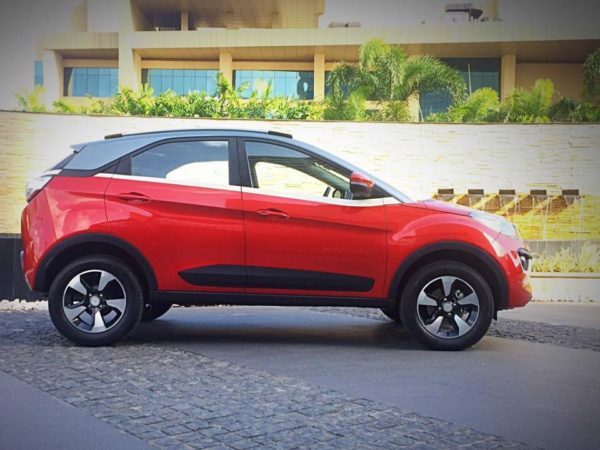 The Nexon bookings commenced a few days ago and the vehicle has started reaching dealerships across India. We have managed to get hold of the Nexon brochure ahead of the official launch. 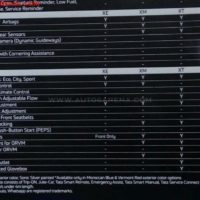 The Nexon which features many segment first features will be available in 4 variants – XE, XM, XT and XZ. The company plans to skip the XZ trim at the time of launch and may consider launching it in future. 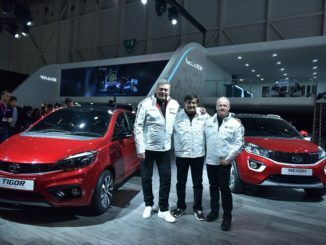 The powertrain portfolio includes the new 1.2L Turbocharged Petrol from the Revotron series and the 1.5L Diesel engine from the Revotorq family. 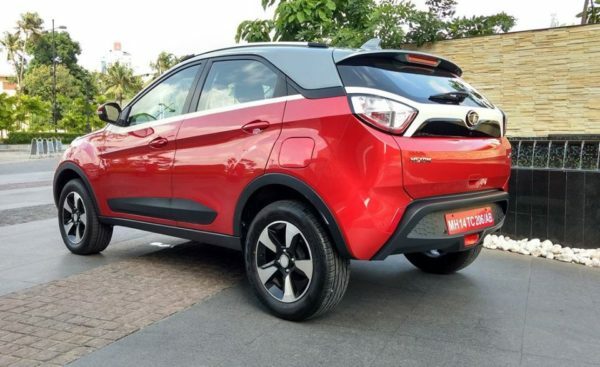 The new engines will be mated to a 6 speed manual gearbox and there are no details of auto gear box as of now, however, the Nexon AMT has already been spied which could hint a launch in the next 6 months. The Revotron 1.2L Turbocharged Petrol engine produces Maximum Power of 110 ps @ 5000 rpm and Maximum Torque of 170 Nm @ 2000-4000 rpm. 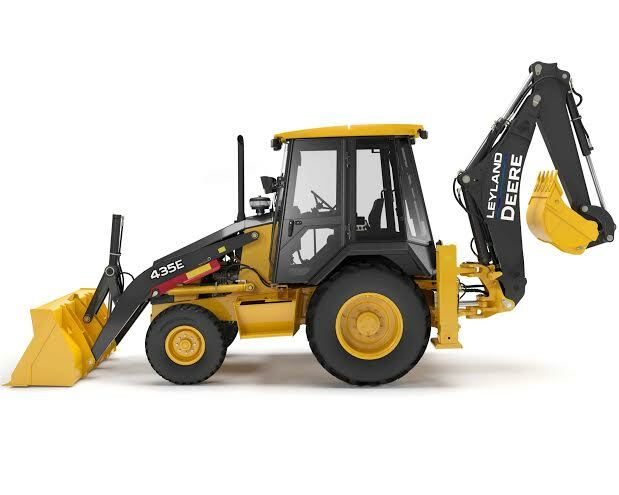 The Revotorq – 1.5L Diesel engine develops Maximum Power of 110 ps @ 3750 rpm and Maximum Torque of 260 Nm @ 1500-2750 rpm. Both these engines sport the first-in-segment multi drive modes – Eco, City, and Sport. The compact SUV measures 3994mm in length, 1811mm in width and 1607mm in height. 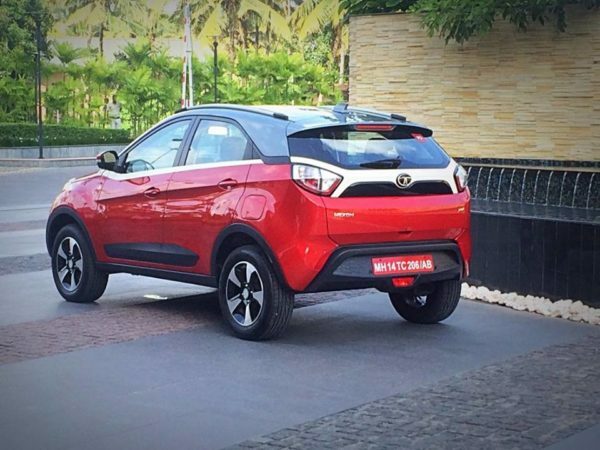 The Nexon has segment-leading ground clearance of 209mm and a turning radius of 5.1 mm. All models ride on 16inch wheels with 195/60 tyres on the XE, XM and XT, while the XZ+ comes with wider 215/60, R16 tyres. 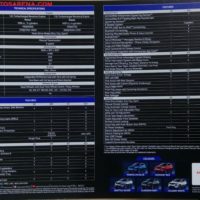 The top XT and XZ+ comes with most of the features with the latter equipped with features which could give the Maruti Suzuki Vitara Brezza and Ford EcoSport a serious headache. All the variants come with Ivory white accents on front fog lamps, side beltline, and tailgate and LED tail lamps. While dual-tone roof color, projector headlamps and DRLS are reserved for the top XZ+ only. 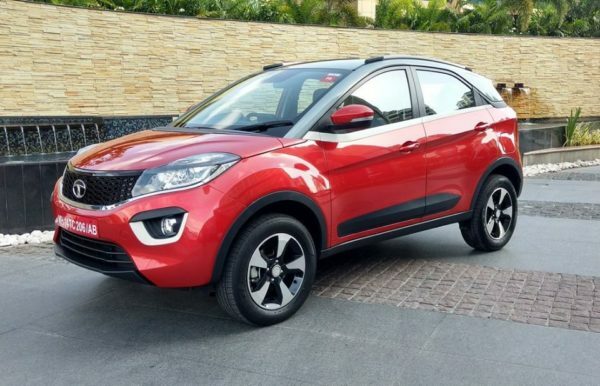 Roof rails and body colored door handles, wing mirrors are offered on the XT and XZ+ trim only. Dual Wheel covers are available on the XM & XT trim while the XE gets single tone wheel covers. the Top XZ+ gets machined alloy wheels. On the inside the SUV comes with Three tone interiors with premium full fabric seat upholstery. 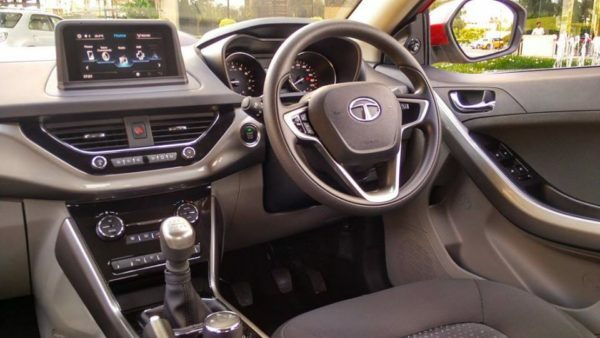 All the variants get cup holders on the central console, 1 litre bottle holders in all doors, and umbrella holder in front doors. Other common features are glove box with 2 cup holders, wallet holder, card holder and tab holder tray. Sliding tambour door in centre console, Front centre armrest, Rear armrest with 2 cupholders and 60:40 split folding rear seat are available on the top XZ+ trim only. 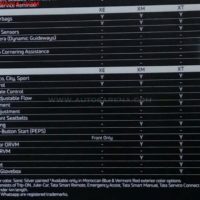 The XE misses out on the Infotainment system while the XM & XT get a standard Harman Connectnext infotainment system. 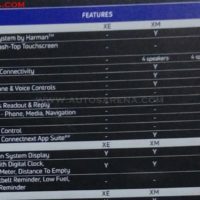 The ConnectNext floating 6.5-inch dash top touchscreen infotainment system by Harman is available on the XZ+ trim and comes with Android Auto, Text and WhatsApp messages read out and reply, Voice command recognition – phone, media and navigation, Image and video playback and Voice commands for climate control. 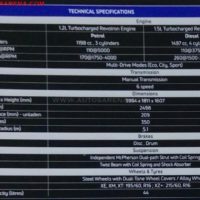 Airbags, ABS and EBD are standard on all variants. Park assist sensors at rear are standard from XM while the XZ+ also gets rear camera with dynamic guideways. 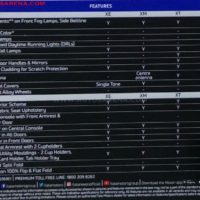 Day and night IRVM, front fog lamps with cornoring assistance, rear fog lamps and rear defogger are standard on top trim. The XE & XM get manual air-conditioning while the XT & XZ+ get fully automatic climate control and also rear air vents. All 4 Power windows are available on top 3 trims while the base gets from power windows only. Electric adjustment is available from XM while electric folding ORVM is available from XT. 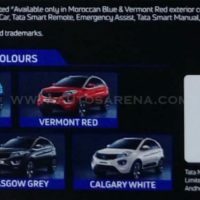 Tata Motors may price the base XE very aggressively and will be mostly a pricelist variant only with majority of sales expected from XT and XZ+ variants. 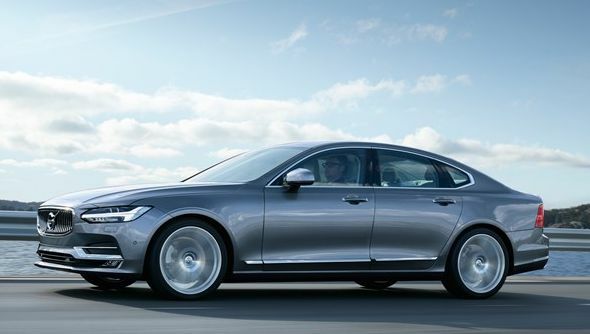 The top trim also gets Voice alerts – door open, seatbelt reminder, low fuel warning, handbrake/parking brake release and service reminder, Height-adjustable driver seat, height-adjustable front seatbelts and Smart-key with push-button starter. 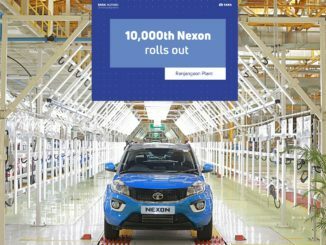 The Nexon will be the fourth product personifying the newly defined design language – IMPACT.